Firoz Shah Palace Complex is located in front of Hisar Bus Stand in the city of Hisar in Haryana, India. It was built by Firuz Shah Tughlaq in 1354 AD. The original town of Hisar was a walled settlement inside the fort with four gates, Delhi gate, Mori gate, Nagauri gate and Talaqi gate. The palace consists of a mosque known as Lat ki Masjid. Lat is a sandstone pillar about 20 feet high and was earlier an Ashokan pillar. Underground apartments are also located inside the complex. The place has also a Diwan-e-Aam. 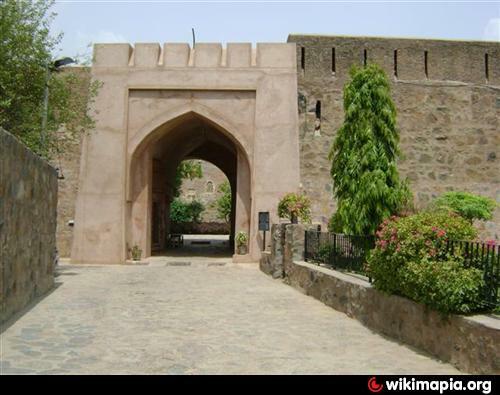 Gujri Mahal is another palace located near the palace complex also built by Firoz Shah for his wife Gujri. Its construction was completed in 1356 and stands on a massive rectangular platform. Jahaj Kothi Museum, named after George Thomas, is located inside Firoz Shah Palace Complex and maintained by Archaeological Survey of India. Construction commenced in 1354 CE. Firozshah stayed at Hisar to supervise the construction. Stones were brought from Narsai hills (in Mahendragarh) to build the ramparts fort wall, which was surrounded by a protective moat. Tank inside the complex was used to refill the moat. The complex was completed after two and half years, and Ferozshah ordered his courtiers to build their palaces within the fort walls. Artillery was not widely employed in Central Asia prior to the 16th century, and limited use of cannon at Hisar by the Timurid Sultan Husayn Mirza in 1496 did not lead to a substantial military role for artillery in India, nor did the presence of Portuguese ship's cannon at the 1509 Battle of Diu, and the regular use of artillery came to India only with mughal invasion starting with Babur. The artwork in the fort is the synthesis of Islamic architecture and Indian architecture. However, the mosque was built in Seljuk architecture.The palace is built of red sandstone. The material used in the construction of the fort was taken from the Hindu temples, likely from Agroha, destroyed by the Islamic invasions of India. Originally, the palace complex within the fort had one royal entrance and the protective ramparts around the fort had four main gates. The Shahi Darwaza is an east-facing still-standing entrance to the palace, called so because Shahi Darwaza in Persian means royal gate as it was reserved for the royal family. As seen here, this roughly 7 meter tall single-story arched gateway, with small built-in cells inside for the guards on both sides, still serves as the main entrance to the current monument. The Talagi gate is a west-facing gate with access to ancient Agroha Mound and Sirsa, still-standing facing the current main bus stand of Hisar city. Associated bastions with slanted narrow niches to shoot arrows at attacking enemy armies still exist. The Nagauri gate was a south-facing now-demolished gate, with access to Nagaur and on to Jodhpur in Rajasthan via Siwani, Jhumpa Khurd, Rajgarh and Churu. It was demolished by the Bansi Lal government to widen the entrance to the market. British Raj had added a tall 2 story clock tower on top of it, now it is all gone but the site is still known as nagori gate. The Mori gate was an east-facing now-vanished gate where a now-vanished water channel entered the fort complex via a niche (Hindi: mori or hole) in the fort bastion to supply the water. it provided access to Multan (Pakistan) - Kandhar (Afghanistan) - Mashhad (Iran) - Ashgabat (Turkmenistan). The gate is long gone and no sign exists. The location of this used to be the current ramp and road between the fort complex and auto market. The Delhi gate, located at current Mehta Nagar here near Shaheed Bhagat Singh Chowk, was an east-facing now-vanished gate that was on the path leading to Delhi on Delhi Multan Road. Its location used to be near current Gandhi statue inside the crowded market. Royal place is the rectangular three-storied stone masonry(two above-ground and one storey underground) building of the fort where the king resided with his entourage. In the past it also two more floor above the current structure, the pillar ruins of third above-ground floor still lie horizontally on roof of the current structure, those pillars held a two-story now-vanished wood-stone structure. It lies in the north-west corner. It is a two-story structure above ground with underground quarters. It is built of rubble masonry and lime mortar. The upper story has stone pillar taken from the destroyed Jain and Hindu temples from and around Agroha Mound. The place building is between one and three cell deep on north, west and east side bit it is several cells deep on the south side where bulk of the structure lies. In the extreme north-west is the three storied above-ground staircase that also leads to one story underground to connect to the tehkhana cells. North and west side of this two-story complex with arched passages are built into the fort's bastion with no windows on north and west side for the security reasons. West and south sides of the structure were renovated by the Archaeological Survey of India and still survives with flat roof and arches gateway and passages. The north side of this structure is in ruin and only the remains of the ground story without the roof survive. The west side of this structure is in good condition with roof. The west side of the structure has underground tehkhana with hammam, has 2 doorways on ground level and 3 doorways on the second story opening into the central rectangular courtyard. The south side, which is the longer side of the rectangular palace complex, has 7 doorways on ground level and 9 doorways on the second story opening into the central rectangular courtyard. The east side of the two-storied rectangular building complex palace complex, is also in ruins without roof, this side is adjacent to the stables to its east. Extreme north and west side of this two-story Royal place complex lies a three-story above-ground and one-story underground watch tower that doubled as staircase connecting all stories of the place as well as serving as a corner passage between north and west side of the building. This is tallest structure in the entire complex. Diwan-e-khas is a central courtyard inside a two-storied rectangular Royal place structure. This courtyard also served as open hall of private audience. Royal place haas an underground complex and two stories above aground with a central courtyard which also served as diwan-e-khas or the hall of private audience. The underground apartments used for sleeping to escape the summer heat and evidence by the presence of an underground hammam or bath. Hammam is the bath located inside the underground tehkhana below the royal palace. Stables are semi-underground structure adjacent to the Tehkhana structure, it lies to the east of main rectangular Royal place building between the place building and Jahaj Kothi Museum, it was used as stables for the horses and other animals. Immediately to the right of Royal gate is Diwan-e-Aam or the Hall for Public Audience. It is a north-west L-shaped Liwan, roughly 5 to 6 meter high, vaulted inside roof with flat-top building with open courtyard. There is lat ki masjid to the east within its courtyard with the Ashoka pillar (lat) in the middle of the courtyard and a L-shaped ablution pond in the south corner of the courtyard. This structure is built with red sandstone pillars taken from the destroyed Jain and Hindu temples, most likely from and near Agroha Mound site. There are three rows red sand stone Hindu pillars with total 50 pillars in the longer western arm of the L-shaped Liwan hall. The longer western arm of the L-shaped Liwan hall has 18 vaults inside the roof which is flat on the top. The front row is built with 10 pairs of double pillars (total 20 pillars) facing east opening into the court yard forming seven doorways, one row of single pillars in the middle of Liwan hall (total 10 pillars). Another row built into the back wall to the west has total 10 pillars, each chamber in this wall back wall has three niches build in red sand stone on the lower half, one outer rectangle niche, two arched niches inside. The upper portion of Liwan is built with rubble masonry covered with white lime mortar. One of the pillar near Takht-i-shahi platform has Hindu inscription in the Brahmic scripts. The flat roof of the longer arm of Liwan is topped with two false domes, one each on its north and south side. The shorter north facing arm of the L-shaped Liwan hall has three valuted chambers on 3 pillars of Hindu temples in the front opening south into the courtyard and three pillars built in the back wall at the north side. These pillars support the flat-form0the-top roof with 3 vaults inside. In the north-west corner of the L-shaped Liwan hall, there is a raised Takht-i-shahi or Muluk khana platform on top of four smaller red stone pillars of Hindu design inside this Liwan hall where the throne of the king used to be, this can be reached by 5 red sand stone steps, under this platform is a dried up well. This platform also has a north-west facing qibla wall (towards Kaaba in Mecca) in the mihrab. On the South-East end of the complex is the square Lat ki Masjid made of red sandstone taken from the destroyed Hindu and Jain temples, the pillars have inscribed Hindu design and doors have Hindu temple style chabutra. There is one door each in four directions, there is a stone jali (perforated latticed stone screen) above each door. The roof has stone brackets that can be seen from outside of the building. The roof is altered with later-era addition of a brick wall. The rofo inside is valulted and flat roof on top has a single lime plastered dome. To the South of this lies a rubble masonry built above-ground pond with under ground narrow passage connecting to the basement of the Lat ki masjid. Unlike other structures inside the complex, the mosque was built using Hindu-Seljuk architecture. Qibla has been carved inside the prayer hall of adjacent L-shaped Liwan hall. It is a small one-story one-domed mosque carved in red sandstone. The mosque is divided into three parts: the central dome, the pillar and the prayer hall. An L-shaped ablution tank is also located on the south of the mosque only couple of feet away. To the south west the square mosque building has a built-in exterior staircase leading to the roof. The mosque also has a narrow underground staircase in its northern wall, leading south few feet, re-emerging to the south-western edge of L-shaped ablution tank in the courtyard. The mosque got its name from Lat, a column located on the North-East of its courtyard. The Lat was once a part of an Ashokan pillar, one of the rock-cut edicts of Ashoka dating to 250–232 BCE. This has been proved by the presence of the inscriptions in Brahmi script on the pillar, deciphered in 1837 by James Prinsep, an archaeologist, philologist, and official of the East India Company. The Ashokan pillar, likely taken from its nearby original location at Agroha Mound, was cut for the ease of transportation and rejoined in four portions here, the remaining bottom portions are at Fatehabad mosque. The four upper portions of the Ashokan pillar here are tapering registers with a finial topped by iron rod. Close to the mosque lies a mound which is believed to house the ruins of probably the Indus Valley Civilization. Underground apartments can be found inside the complex in good condition. A passage is embedded on the western wall of the palace leading to the terrace. Archer holes can still be observed in the bastion wall that used to be surrounded by now-filled a water-filled protective ditch. Gujri Mahal is the name of the palace built by Firoz Shah Tughlaq for his mistress Gujri. The palace is located outside the fort complex to east and was built as an outlying portion of it. Between the Gurjari mahal and the main fort complex there existed a now-vanished Islamic garden, which is now the location of modern-day Jindal park with a 207 feet tall Flag of India. Gujri was the mistress of Firoz Shah Tughlaq. She was a local resident of Hisar. When he asked her to accompany him to the throne at Delhi, she refused. So, he built a palace for her in Hisar (city) and built his own palace complex around it. The palace was built using rubble and Mortar. Like other structures present inside the complex, this was also built using parts of destroyed temples as is visible from the pillars located inside the palace. Only a small portion of the two-story palace with one underground level remains now. The palace is built on a rectangular platform that can be approached by a ramp leading to the upper level. The building has been declared as a Centrally Protected Monument by Archaeological Survey of India. The palace is closed for public. To the north, there used to be gardens, which no longer exist and houses modern have been built there. The most visible part of what now remains of the palace is the Baradari on the upper level, called so because of the presence of twelve doorways, three on each side. It was used for social gatherings. Four Hindu pillars are located inside the chamber to support the roof. These pillars were taken from the destroyed Hindu and Jain temples, most likely from Agroha Mound or nearby area. There are three underground apartments located below the platform. One of them is a tank and it is believed that this tank served as a hammam or bath. On the upper level, there are a total of nine graves, 5 of which are sarcophagi on an open-air higher platform (nearly 3 feet from bottom), two are sarcophagi on a separate nearby open-air lower platform (less than 1 foot from bottom) and two are brick shrines inside a brick structure that no longer has a roof. Total seven of them are sarcophagi while the other two are brick shrines. All of them belong to 17th or 18th century Mughal empire era. On the upper level, there is a small secondary apartment in the corner of the structure. Originally, there was a garden in the north of the complex but it no longer exists, now there is Jindal park in its place that has a 207 feet tall flag of india installed by Naveen Jindal's Flag Foundation of India. Jahaj Kothi Museum, a later era building that was originally a Jain temple which was later used as residence by George Thomas, is located inside Firoz Shah Palace Complex and maintained by Archaeological Survey of India. Nearby Haryana Rural Antique Museum is in Gandhi Bhawan, established by this unit, exhibits evolution of agriculture and vanishing antiques. 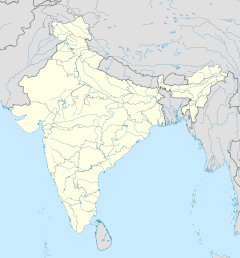 The Rakhigarhi Indus Valley Civilisation Museum is located at Rakhigarhi, which is an Indus Valley Civilisation site 60 km away, also has a museum developed by the state government. There is a large British raj era historic building within the complex, to the north east side, which was used as a residence for the superintendent of the Government Livestock Farm, Hisar (c. 1809). ^ a b Hisar at a glance, Haryana Tourism. ^ a b Adle C, Habib I, Baipakov KM, eds. (2004). History of Civilizations of Central Asia: Development in Contrast : from the Sixteenth to the Mid-Nineteenth Century. United Nations Educational. pp. 474–475. ISBN 978-9231038761. ^ Grant RG. (2010). Warrior: A Visual History of the Fighting Man. DK ADULT. pp. 126–127. ISBN 978-0756665418. ^ More details about Buddhist monuments at Sanchi Archived 21 July 2011 at the Wayback Machine, Archaeological Survey of India, 1989.